Owen & Co., LLC Real Estate has a long family history serving the Mississippi Gulf Coast since 1945. In 1984, Sherry decided to follow her interests and talents and enhance her career in real estate. Since that time, she has become a leader in both residential and commercial Real Estate along the Mississippi Gulf Coast. Her keen business sense, incredible eye for design, and innovative marketing strategies has helped to identify her as a leader in high-end residential home sales. Her strong referral base and commitment to the business community have earned her a top spot in not only residential sales but also in land, condo, and commercial sales. 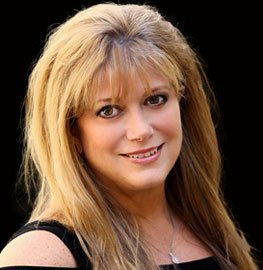 Sherry is a lifetime member of the Million Dollar Round Table and has consistently earned Top Producer awards from the Mississippi Gulf Coast Association of Realtors, Inc. In 2002, Sherry opened her own real estate company and, under her leadership, Owen & Co., LLC has gained a significant share of the Gulf Coast real estate market. Sherry Owen is known for her commitment to her clients, professionalism, and knowledge of the Mississippi Gulf Coast. A long-time resident with deep family roots the Mississippi Gulf Coast is her home and she loves introducing new-comers to all the Coast has to offer. Contact Owen & Co., LLC today and tap into our invaluable experience and knowledge. We look forward to hearing from you!